These guys walk miles and miles to reach water. Even in the autumn months the daytime temperatures in north-west Botswana are in the thirties (degrees C). 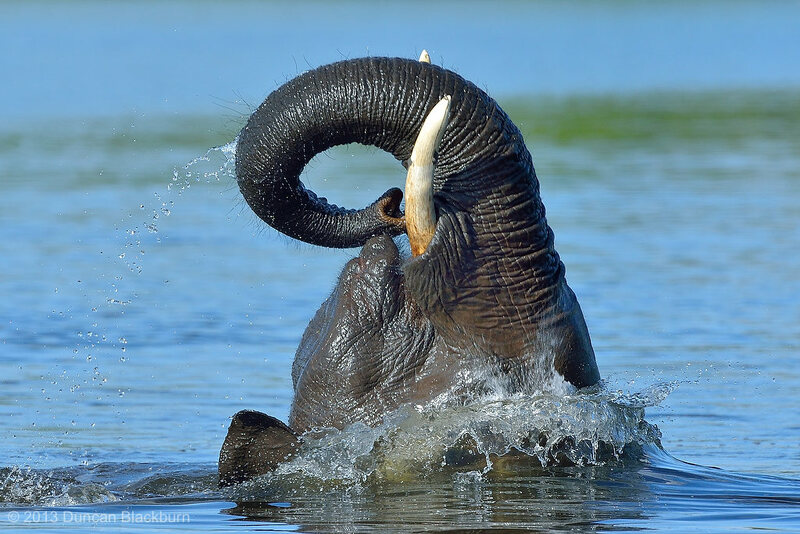 The Chobe River acts like a huge magnet for all wildlife in the area; not the least for these huge mammals who thoroughly enjoy a swim and frolic in the cool waters! This image was captured near Kasane , Northern Botswana, Southern Africa.